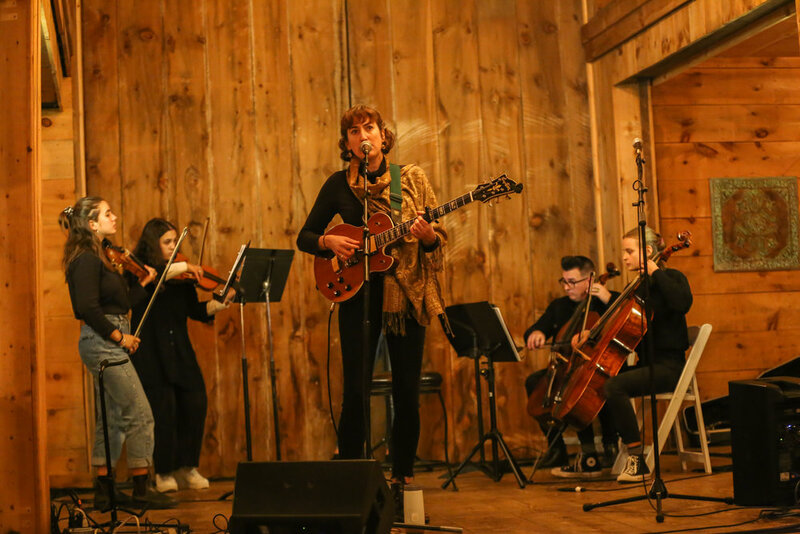 A portion of an arrangement of Sara Hallie Richardson’s tune "Carry On" for string quartet, accompanied by the Maine Youth Rock Orchestra string quartet (+ director Kevin Oates) at Harvest Moon Festival in Saco, ME (10.6.18). 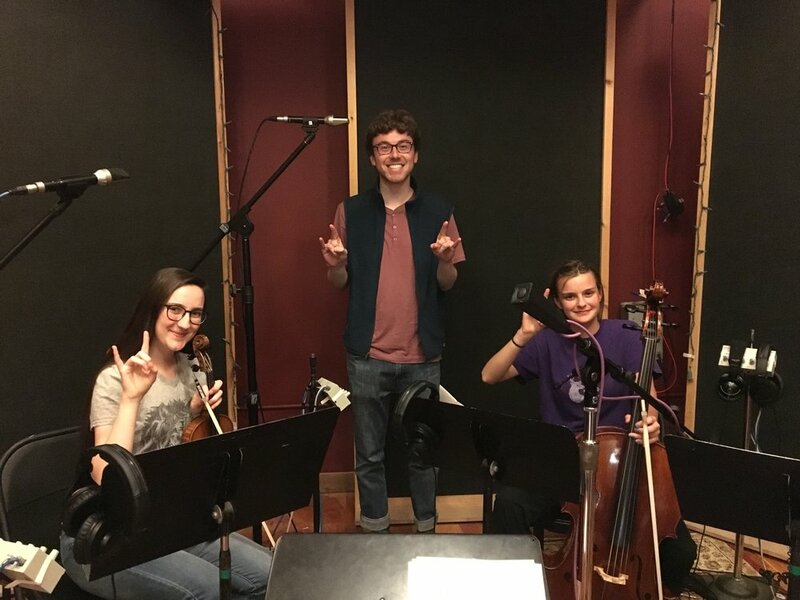 MYRO is a Portland-based music education nonprofit providing young orchestral musicians the unique opportunity to play music with nationally touring bands and artists. Additional arrangements for the MYRO string quartet from their show with Sara Hallie Richardson at Harvest Moon Festival in Saco, ME (10.6.18). Audio recorded with a Zoom-H5 portable recorder. An excerpt of a rehearsal at the MYRO studio of an arrangement of Portland, Oregon-based folk duo Shook Twins' song "Figure It Out." The arrangement was premiered at One Longfellow Square in Portland, ME on 9.30.17 for the annual Waking Windows festival. 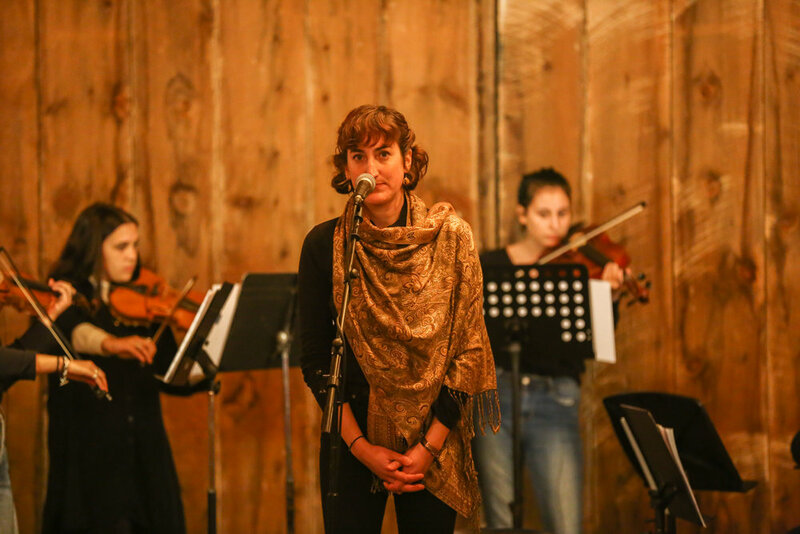 An arrangement for orchestra of The DuPont Brother's tune "Something to Write About," premiered on 12.1.17 at the Portland House of Music & Events. 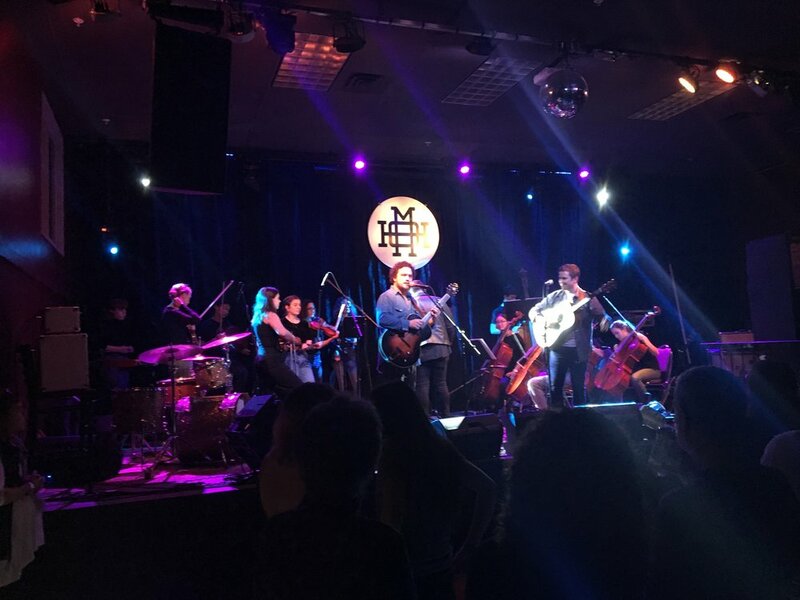 This concert featured an impressive lineup of local songwriters playing alongside the Maine Youth Rock Orchestra, including Max Garcia Conover, Connor Garvey, and The DuPont Brothers. Audio recorded with a Zoom H5 four-track portable recorder. Additional orchestral arrangements from the Maine Youth Rock Orchestra's 12.1.17 show at the Portland House of Music & Events. Audio recorded with a Zoom H5 four-track portable recorder. An orchestral arrangement of a beautiful Brahms Intermezzo (originally for solo piano), read by the Bowdoin College Orchestra in the spring of 2017.